Heavy Duty Restoration Cleaner NE is a concentrated acidic cleaner designed to attack and eliminate heavy atmospheric staining on brick, terra cotta, granite and sandstone, specific to the Northeast U.S. urban and industrial environments. 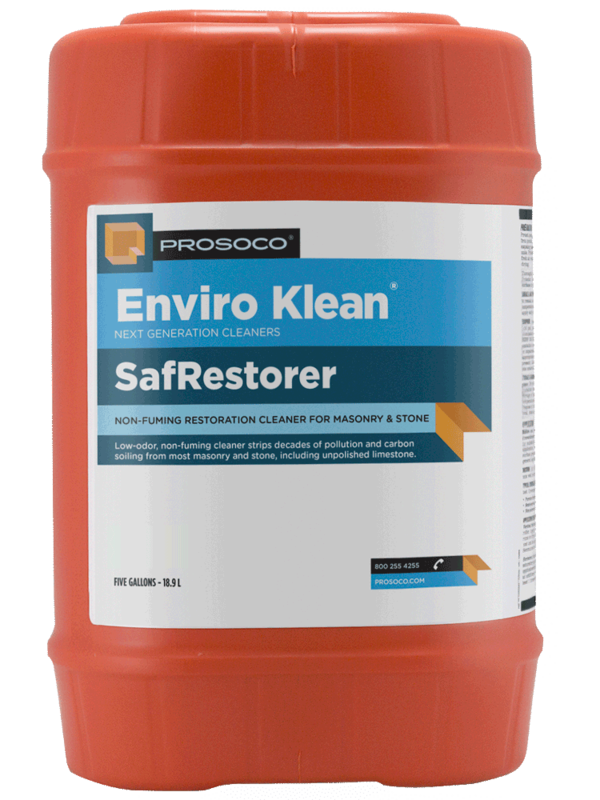 Used carefully, this ultra-powerful formulation loosens and dissolves decades of dirt, paint oxidation, carbon buildup and other atmospheric staining. 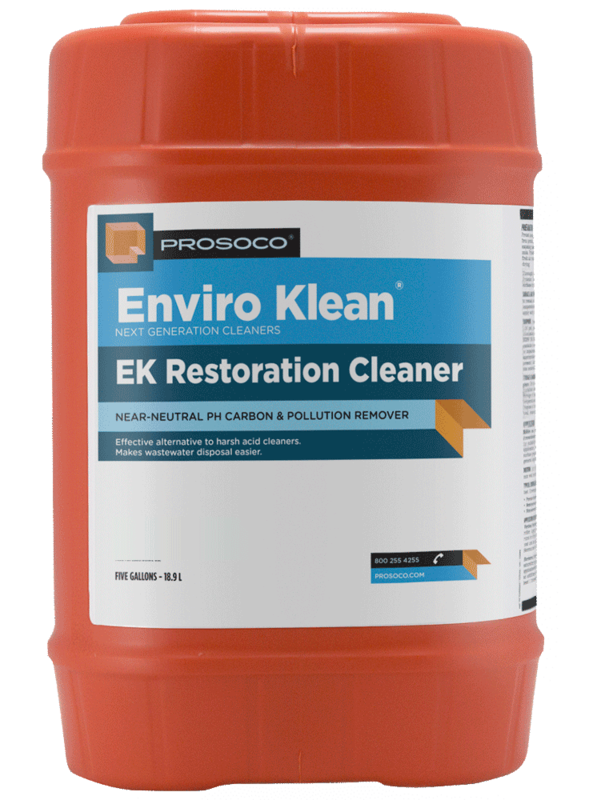 Specially formulated to clean the worst carbon staining and grime the Northeast urban environment can produce. COVERAGE RATE 125-600 sq ft/gal. See Product Data Sheet for variations per substrate. Sure Klean® Heavy Duty Restoration Cleaner NE is a concentrated acidic cleaner specifically made to attack and wipe out the heaviest atmospheric staining the Northeast U.S. urban and industrial environment can produce on brick, terra cotta, granite, sandstone and more. Used carefully, this ultra-powerful formulation breaks loose and dissolves the decades of dirt, paint oxidation, carbon buildup and other atmospheric pollutants that can prove too difficult for other cleaners. 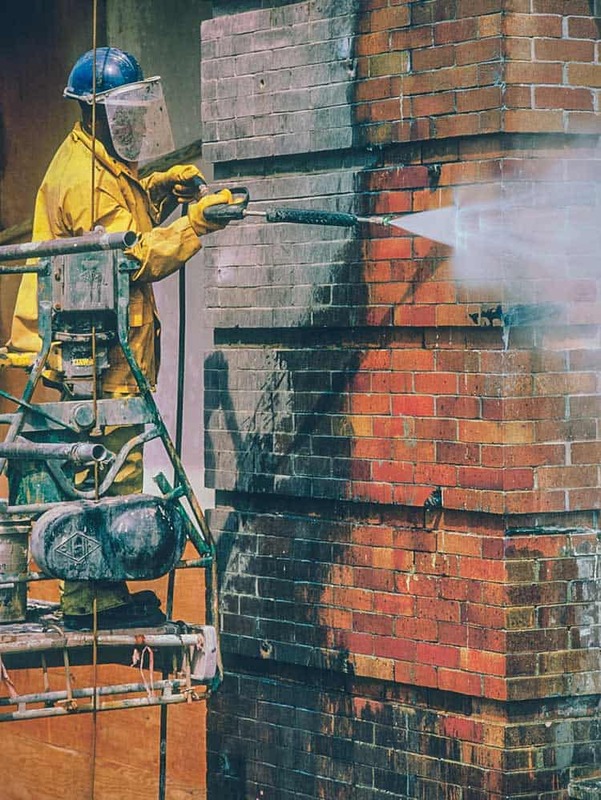 A simple cold-water rinse then removes these unsightly stubborn stains, revealing the masonry's original beauty.